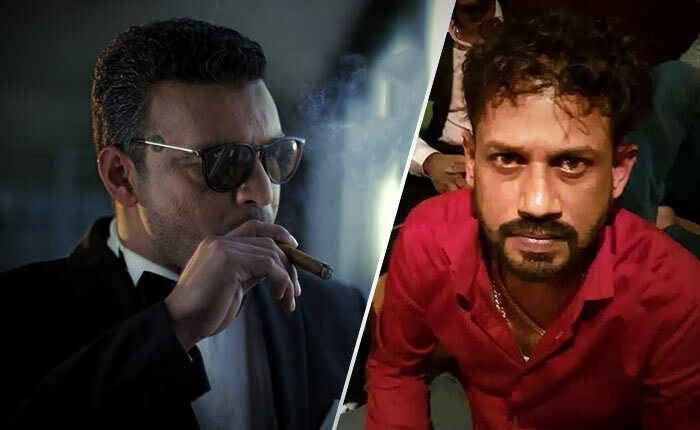 The Criminal Investigation Department (CID) has informed the court yesterday (12) that former DIG Nalaka de Silva, who was arrested in connection with the alleged VIP assassination plot, has had close ties with singer Amal Perera and ‘Makandure Madush’. The CID further said that investigations are being carried out with the international police to unveil more information on the nexus between ‘Makandure Madush’, Amal Perera and the former DIG. This CID stated this at the hearing of the case, which was filed against the alleged plot to assassinate the President and former Defence Secretary. The case was taken up before the Colombo Fort Magistrate’s Court yesterday (13). Presenting submissions, the CID added that, when singer Amal Perera had visited the former DIG on 21st of July 2016 at his office, a police officer had inquired the singer of the reason for his visit. However, the former DIG had arbitrarily transferred this police officer to Mount Lavinia police station, imposed punishment duty and assigned him to a training session, the CID said. The Colombo Fort Magistrate has subsequently ordered to further remand former DIG Nalaka de Silva and the Indian suspect named Marceline Thomas, who was also arrested in connection with the VIP assassination plot, until February 27. The notorious Sri Lankan underworld kingpin ‘Makandure Madush’and several other prominent underworld figures were arrested, along with singer Amal Perera and his son, during a joint operation a hotel in Dubai carried out by law enforcement officers from both Sri Lanka and Dubai. The suspects, who were charged with consuming cocaine, are currently held at Bur Dubai police station. Reportedly, the investigations regarding the suspects have concluded, however, they have not been produced before the court thus far. The CID should reveal all other ties the Hero, Makandure Madush, had with Parliamentarians, PC Leaders and Local Authority leaders, judiciary and Police. Many of our so-called do-gooder Parliamentarians, judiciary, law enforcers, public servants, police officers will be on this list. It was shown that Mendis Arakku Aloysius had many Ministers and Blue leaders and Clergy on its roll. These idiots are still continuing to pretend as angels from heaven having feasted on money from Aloysius.